AGI conducts joint research with universities and research institutes inside and outside Japan and has a program for visiting researchers. We also provide information on conference presentations and public lectures given by AGI staff as well as public relations activities. As part of its efforts to publicize the outputs of research activities to the local community, AGI organizes public lectures on a wide range of topics by distinguished speakers. We make research reports and working papers published by AGI publicly available. We also introduce other AGI publications such as research monographs. 【Conference Presentation】 Vice-President Horioka gave a keynote address at an international conference held in Brunei. 【Conference Presentation】 AGI researchers gave presentations at an international conference held in Singapore. 【Conference Presentation】 AGI researchers participated in an international conference held in the United States. 【Conference Presentation】 AGI researchers gave presentations at an international conference held in Hong Kong. 【Conference Presentation】 Vice-President Horioka and Research Associate Professor Niimi gave presentations at an international conference held in France. 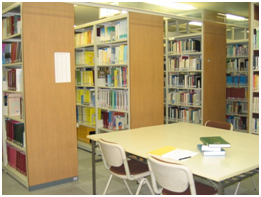 The library has an extensive collection centering on statistical materials on China, South Korea, Taiwan, Hong Kong and the ASEAN countries. It also has research reports and datasets that are the outputs of the research activities undertaken by AGI (formerly ICSEAD) since its establishment.